Michelle Cobley is available for weddings, private functions, studio sessions, and more. Michelle has been surrounded by music her entire life. She was accepted into Berklee College of Music with a scholarship in 2005. 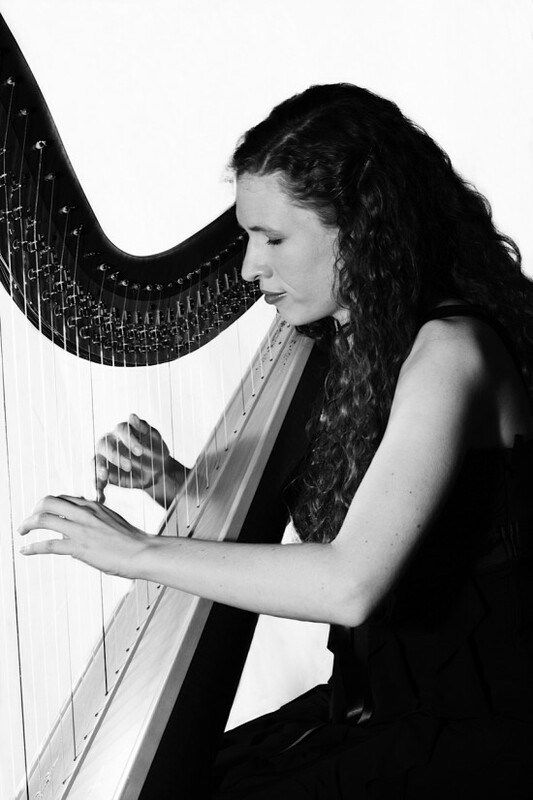 At Berklee, her musical taste as well as harp playing developed dramatically. While at Berklee, she participated in numerous film scoring projects, orchestras, took 4 years of private lessons with Felice Pomeranz,& was surrounded by extremely talented musicians. She has since completed her Master's Degree in performance at the Royal Welsh College of Music & Drama. I can't say enough how much we enjoyed having Michelle play for our annual fundraising Gala to support the fight against human trafficking! She was professional from the day of first contact. She arrived early to set up and followed our program seamlessly after spending literally a minute going over it with me. I have gotten nothing but compliments about this young lady. Michelle definitely added the aire of elegance and sophistication to our event that we were hoping for. I would hire her again in a heartbeat for any elegant party or wedding! What a great harpist! Michelle played for our wedding and we could not have asked for a more beautiful addition to the day. She was able to play our requests (including a beautiful rendition of Moon River). Michelle was so easy to work with and very professional. I highly recommend her! Michelle was a wonderful addition to our reception; she was professional, arrived early, and even stayed longer than originally planned because the event started a little late. Her music set the tone and people really enjoyed having a classical harpist. She had a wide variety of songs; we truly enjoyed having her play. Would hire her again! Michelle played accompaniments and lead a harp ensemble. She then played a lovely celtic balled which was just beautiful.